This Beige marble natural stone tub is perfect for soaking. Add a custom soaking angle to the interior of the tub. This freestanding tub can be accommodated throughout the bath. Natural stone bathtubs are a why to add comfort and style to your home. 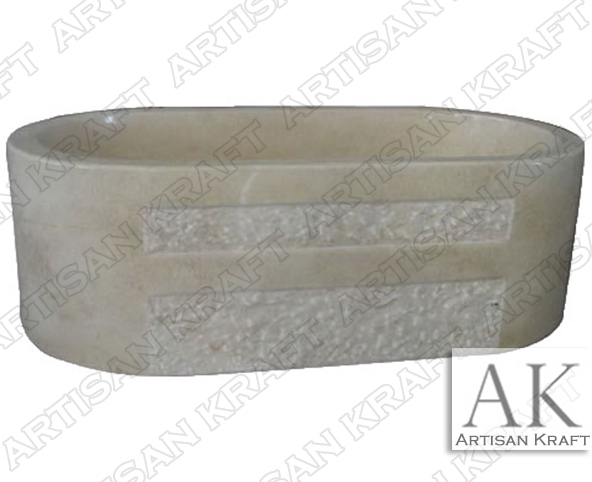 Artisan Kraft offers many different styles and materials that are used for making these tub. Copper bathtubs are trending right now. As are marble tubs.